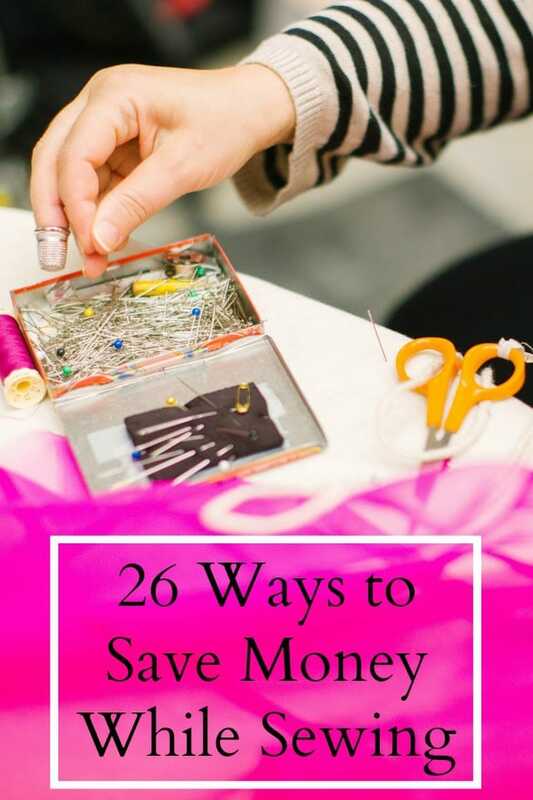 Sewing can be an expensive hobby, but you can also save money and sew to save money. I might not always be cheaper than fast fashion at big box stores, but it’s a sustainable way of sewing. I have used these tips in my sewing practice, and I have saved my family money. 1. Tell your friends and family you are learning to sew or that you love sewing. People will give you stuff. I’ve had family members, friends, and even friends of friends give me bags of fabric. If it didn’t fit in my color scheme, I use it for muslining or for my children. Have you ever bought a certain fabric at the store and realized you had something very similar in your stash? I have. This year I’ve tried really, really hard to sew with what I have, and I’ve done a pretty decent job. I still have a big stash, but I’ve made a good dent in it. And sewing my stash has made me realize what fabrics I want to reach for, so I can make better fabric buying choices. 3. Don’t buy something only because it’s on sale. You get a high from buying fabric or a pattern because it feels like you bought an item of clothing. But how often have you bought a pattern and you never used it? How often were you a sucker for a fabric sale and realized the fabric wasn’t your style? 4. Watch for other sewists to sell their stashes. They often do it on instagram and you can get name brand or high quality fabric for a great discount even if you have to pay a little shipping. 5. Search for nearby manufacturers or warehouses and ask if they’ll sell you remnants. I get 75% of my knits from a manufacturer that has remnants they need to get rid of. I get really high quality knits for really cheap. It’s a bit of a drive, but I get a lot of fabric for inexpensive. It’s always worth the drive. You can thrift fabric, sheets, drapes, tablecloths, etc to use as fabric. If the print is nice enough than you can make something out of it. If the print is not nice you can still use the fabric for muslins. 7. Alter and fit thrifted clothing or hand-me-downs. I have never made jeans for myself because I can alter RTW to fit me well, and I can thrift jeans for cheap. I’m just willing to do a little bit of work to get what I want. 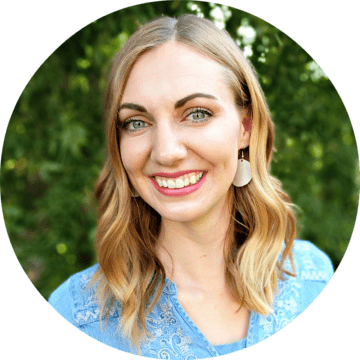 Here are some alteration tutorials: lengthen pants, pinch hem jeans, fitting jeans, take in a shirt, and using a pattern on RTW. You can also buy this tailoring ready-to-wear* online class. 8. Refashion for yourself and upcycle for your kids. Refashioning and upcycling means changing the style and/or of the piece. This can be dyeing, bleaching, embroidery, cutting, hemming, rearranging, adding, etc. Refashioning is a cheap way to figure out your style, colors, and which fabrics you like to work with. Here are some refashion tutorials: dress into skirt, tunic to shirt with bell sleeves, pajama pants to shirt, bell sleeve refashion video, sweater into cardigan, tee and button down shirt tutorial, button down shirt with trim, two button downs into a dress, and lace sweater cuffs. I also have a giant list of kids upcycle tutorials! 9. Buy purses, backpacks, and bags used and reuse the bag hardware and zippers. There are lots of bags for sell at a thrift store that might have a hole or stain, but the hardware is in great shape. Getting hardware and zippers for a couple of dollars is super cheap! 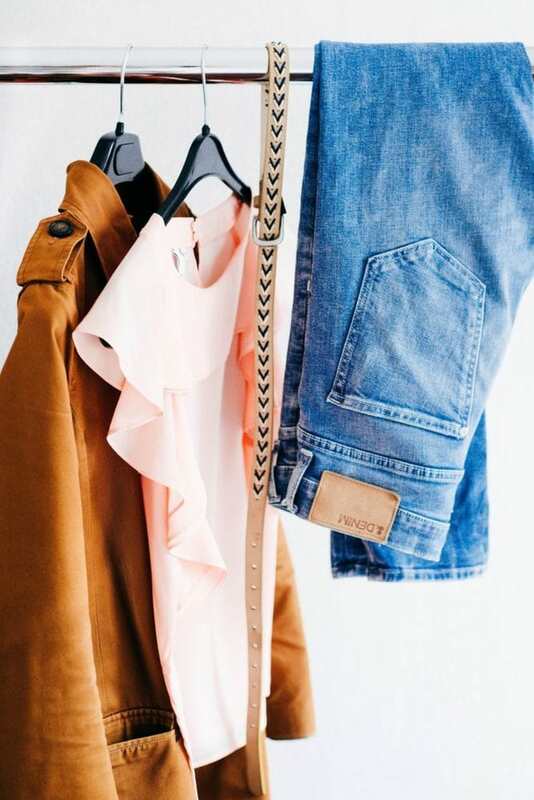 Learn how to fix a zipper if the pull came off so you don’t have to buy a new one! 10. 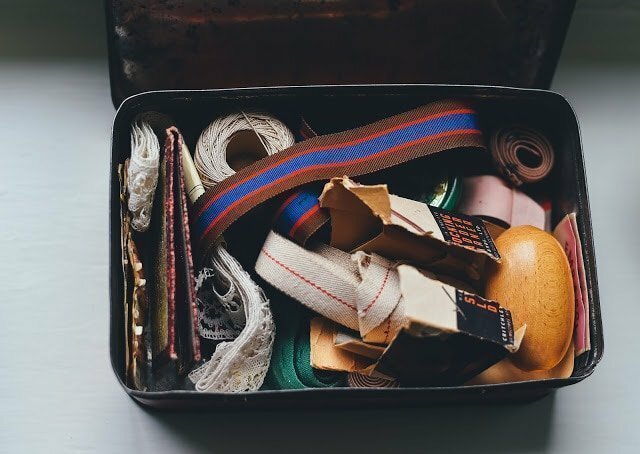 Reuse notions from clothing you are throwing away. I love cutting elastic off of my kids underwear and using it in a sewing project. It’s the right size, it great shape, and it’s in a casing so nobody will see the crazy colors. I also cut off buttons, zippers, and pockets to reuse on other projects. 11. Be willing to mend. Instead of buying and making a bunch of new clothing, can you fix a seam or mend a hole? Can you cover a stain, bleach or dye the whole item? How to mend a hole, argyle pocket mend, zigzag mend, and mending without sewing. 13. Use fabric as interfacing. This might seem counterintuitive but hear me out. I always forget to buy interfacing and rarely have the right kind in my stash. I always have scraps of fabric from the item I just cut out. The scraps are never enough to make something else, so they are kind of wasted. Now I use woven fabric scraps as interfacing, and it’s been awesome. Technically I’m spending more on interfacing since I’m using fabric, but I’m using scraps that I otherwise would not be using. And it’s not something I have to remember to buy or go back to the store to get. I think it makes my items better because everything is interfaced with the correct weight and drape since it’s the same fabric. I do have to sew in the interfacing instead of ironing it, so it takes more time but my garments look amazing. You can also learn how to use interfacing so you can be more strategic about using it. 13. Keep all your scraps and use them. Use them as lining, pockets, facings, interfacing, etc. I keep all scraps that are about 10 inches or larger and I often have a place to use them. Here are some ideas for using knit scraps. 14. Buy high quality for the tools you use a lot. For things you use often like pins and scissors it’s worth it to get good quality. I actually don’t have a lot of the standard items found in a sewing room because I’d rather spend my money on fabric. But I do have a few basic high quality items that were worth the investment. When buying something expensive use camelcamelcamel.com for comparison, and be willing to buy machines used. 15. 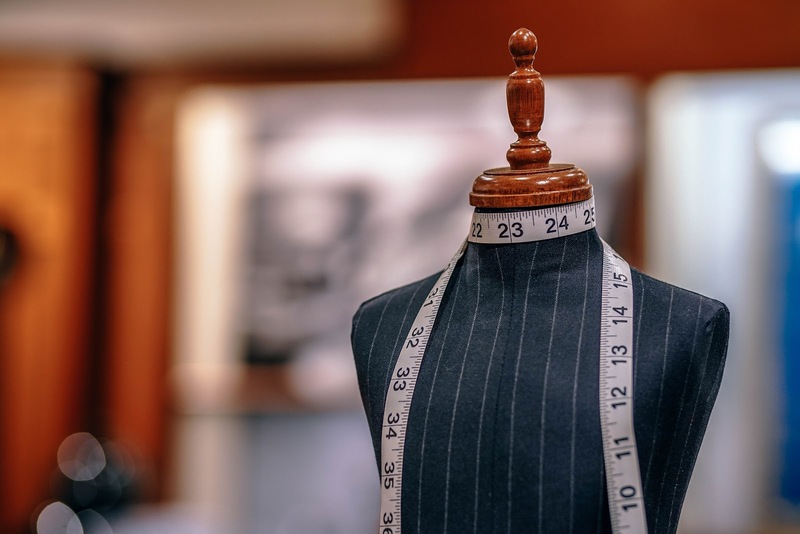 Learn how to use fabric the right way, learn how to plan a wardrobe, and learn how to fit your own body. I lump these together because these all come with sewing a lot and can make a big difference in wearing what you make. You can either make a lot of mistakes to learn or you can take my three favorite online classes: Fabric Know-How*, Plan Your Wardrobe*, and jersey needles*. 16. buy supplies on Wawak. It’s the cheapest online sewing supplier I have found. 17. This is kind of controversial, but don’t buy pdf patterns on sale. You feel the pressure of buying something, but you don’t know if you’ll make it or wear it. Are you buying it because it’s on sale or because you’ll actually use it? Do you want the high of the purchase or feeling like you bought a item of clothing for $7 (that you’re actually not buying clothing)? Unless you’ve planned out your patterns and wardrobe, and you’ve been waiting for a specific designer to have a sale, don’t buy only because there’s a sale. You can save money buy buying 3 pdf patterns full price every year ($30), instead of buying 20 pdf patterns on sale every year ($140). 18. Do buy paper patterns on sale. The big 4 paper patterns are not worth it full price so only buy them when you can get them for $1 each. There are loads of free patterns. Almost every single designer has one or more free patterns. By using their free pattern you can see if a designer has good drafting, designs for a body similar to yours, and has good instructions that you understand. This is the best way to “try out” a designer before spending any money. 20. There are also books full of patterns. You can buy the book to be able to keep all the patterns, or borrow the book from the library and trace the patterns. This is a great way to get lots of patterns for a small price. My favorite pattern books are Kwik Sew for Swim and Action Air*, Kwik Sew for Baby*, and Kwik Sew for Toddlers*. 21. Learn how to alter patterns and combine patterns. You can hack a pattern into a lot of basic styles without having to buy another pattern. 22. Use cheap tracing paper. Trace your tissue paper patterns or trace your printed and taped pdf patterns. Store you patterns so you can use them again and mark and alter your traced pattern. My favorite tracing paper is medical exam paper. You can get a giant roll* for cheap! 23. Plan your wardrobe silhouettes before buying any patterns. If you like all loosely fitted tops and fitted bottoms then you know the patterns that will fit into that silhouette. If you don’t know what you like, use the Wardrobe Architect to figure out your style. 24. Use ebates when buying fabric, patterns, and supplies online to get some money back. There’s nothing special about ebates. You don’t have to open a new credit card, and there’s no catch. Sign up for ebates here*. Such great tips! I don't think I have any more to add, yours cover them all! I usually check the DI for notions. Sometimes I can find really great ones for pretty inexpensive. I picked up a bag of lace that was nice cotton type of lace for $5. It had yards and yards of the stuff. I could only get a couple of yards for $5 at JoAnns, so this was a steal to me, especially where I have daughters. I guess my tip would be only buy stuff you will use. If I had only boys, lace wouldn't be a smart purchase. 🙂 I always check JoAnn's clearance especially when they have an extra 20% off sale or clearance prices. Sometimes you can find notions for super cheap!